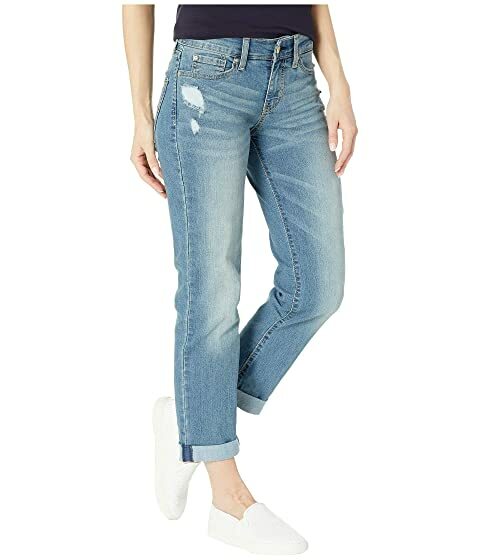 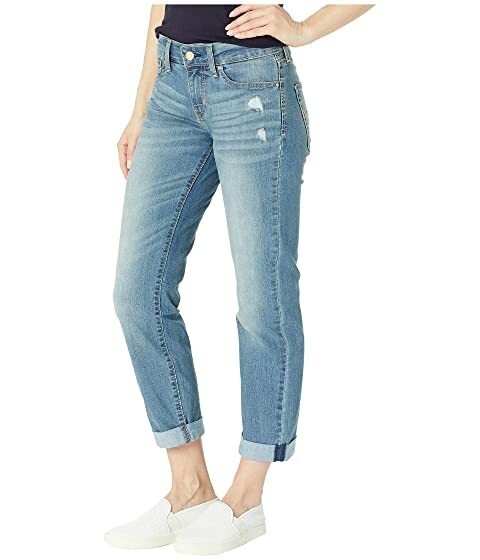 Boyfriend jean features a mid rise, relaxed fit, and tapered leg. 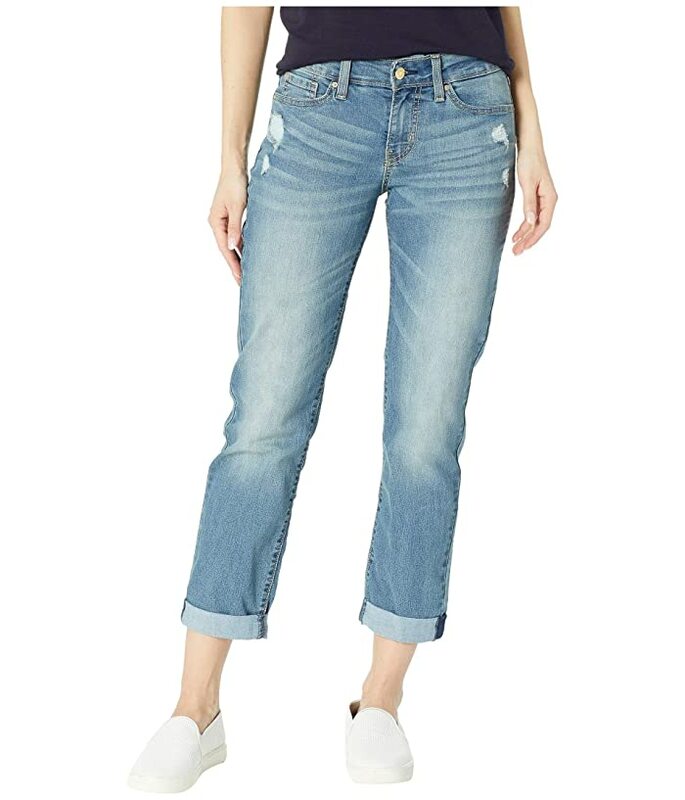 Distressed medium blue wash on stretch cotton denim with whiskers, fading, and abrasions. 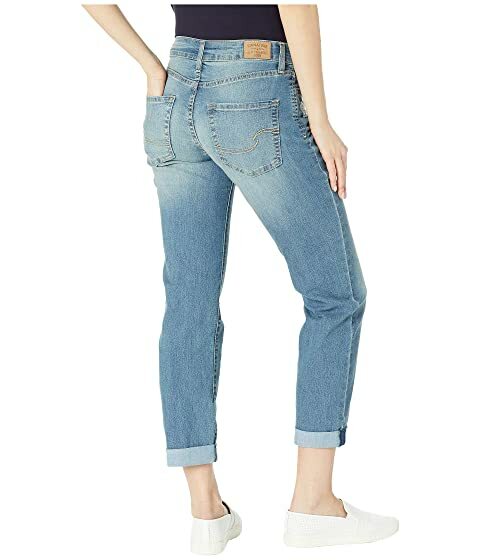 79% cotton, 18% polyester, 3% elastane.